WORCESTER, Mass. - The Holy Cross women's hockey team fell to New Hampshire, 3-1, Sunday afternoon at the Hart Center. 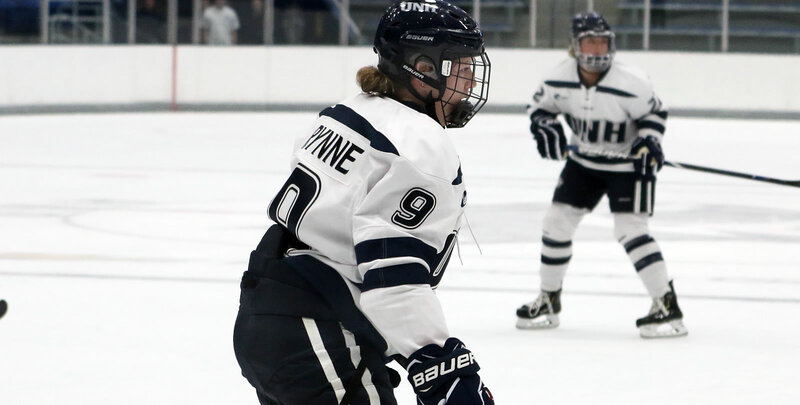 3-0 UNH (2nd, 4:38, EV): Carlee Turner added one more for the visitors early in the second period. 3-1 HC (3rd, 4:29, PP): Attea's strike marks the fifth game out of their last seven that the Crusaders have scored on the power play. They have also tallied at least one goal of any kind in eight of their previous nine games. - The assist gives Moore a team-high seven and pushes her team-leading point total to 13. - Maeve Reilly played in her 100th career game today.